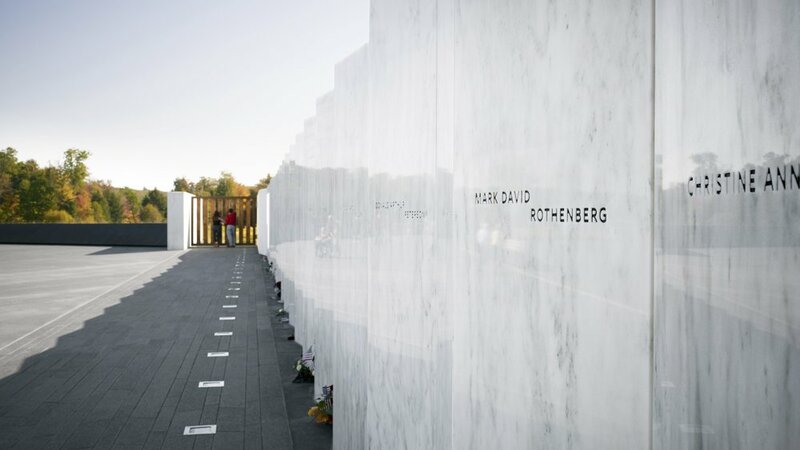 The Flight 93 National Memorial is a 2,200-acre national park to commemorate the heroic actions of the 40 passengers and crew who prevented a terrorist attack on our nation’s capital. 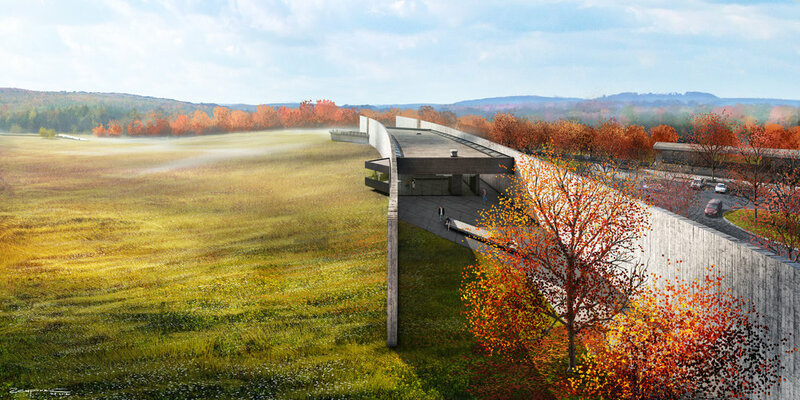 In September 2005, the Flight 93 Advisory Commission selected the design proposal from the team of Paul Murdoch Architects and Nelson Byrd Woltz Landscape Architects from among 1,100 entries. 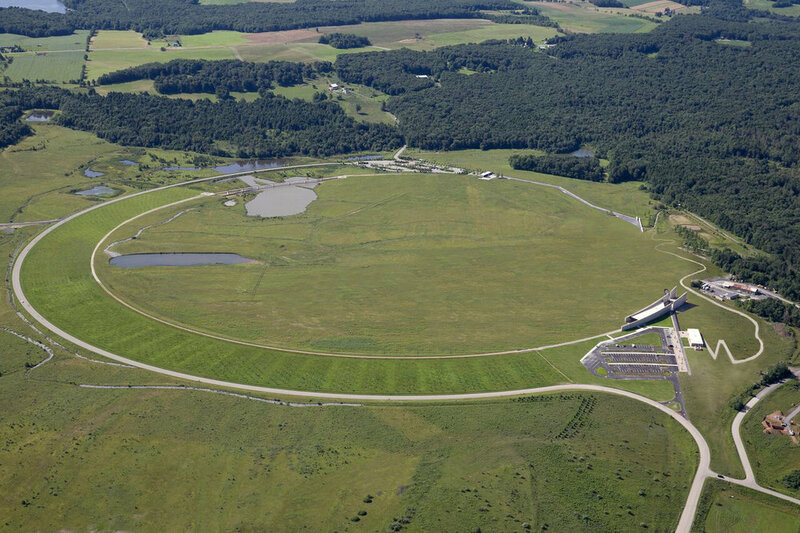 The design transforms the site – a former reclaimed strip mine – to a place of environmental and symbolic healing. 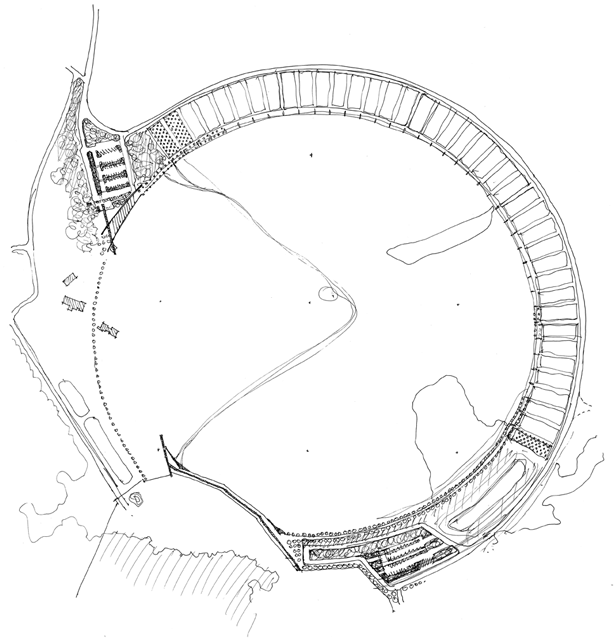 The design creates a memorial landscape, moving visitors through a composition of open spaces defined by site walls, planting, walkways and courts, gateways and building elements. 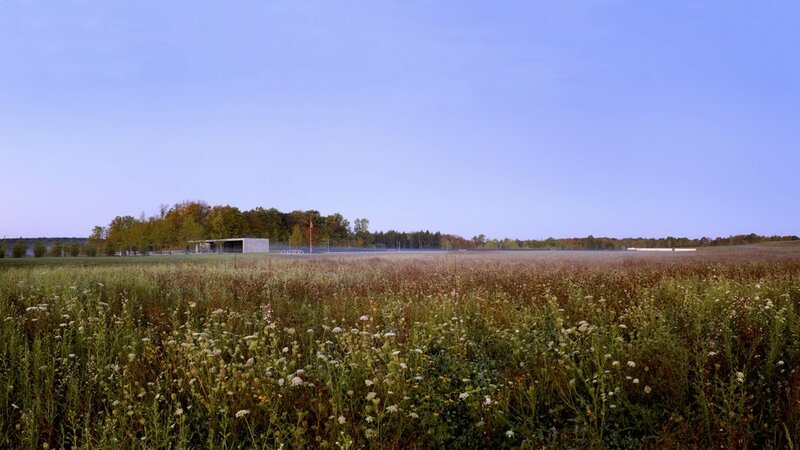 The centerpiece of the master plan is the Sacred Ground, at the edge of the Field of Honor and embraced by an allee of red maples backed by 40 Memorial Groves. 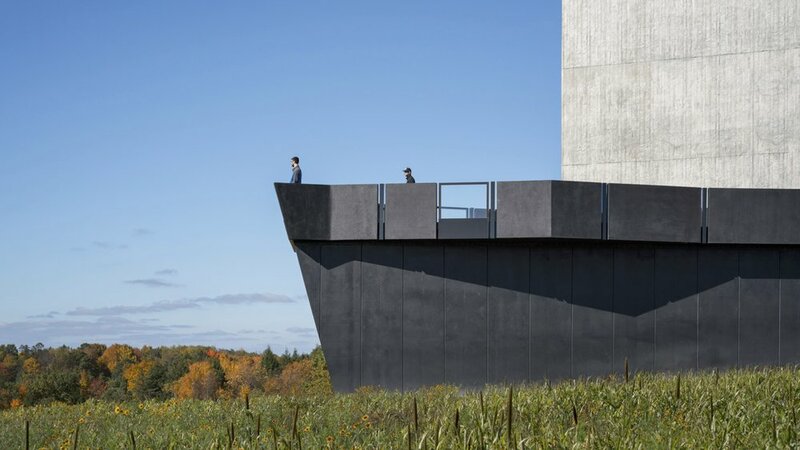 While on a walkabout alone at the Flight 93 National Memorial, Paul Murdoch took these photographs when the park was closed during a nor’easter on the first day of Spring. 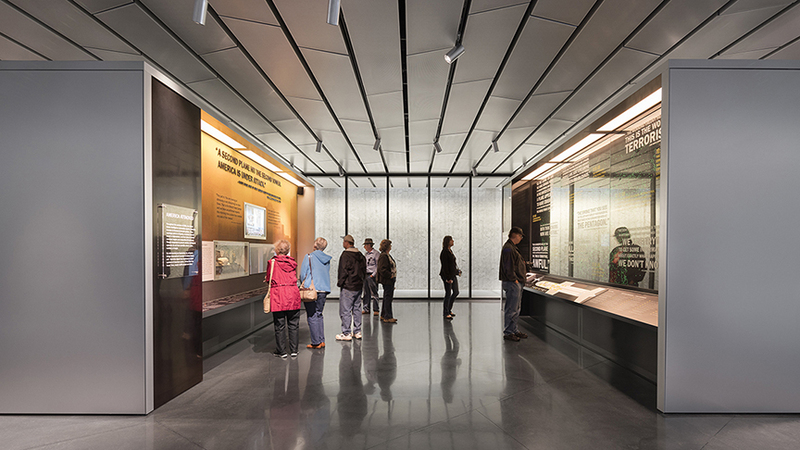 The design is a simple and beautiful expression that sets the stage for understanding the actions of the 40 passengers and crew members and the impact their actions had on history.